For tonight’s dinner we decide to do a first and second course. Our first course is cucumber and tomato salad with onion and an Italian dressing. We added some feta which you would omit if you want a totally vegan rather than a vegetarian dinner. One of the positives about serving courses is that it slows you down when you are eating. Instead of shoveling a whole plate down at once you have to stop, get up, and plate the next course. This gives your brain a little while to think about what you just ate and how hungry you still are. 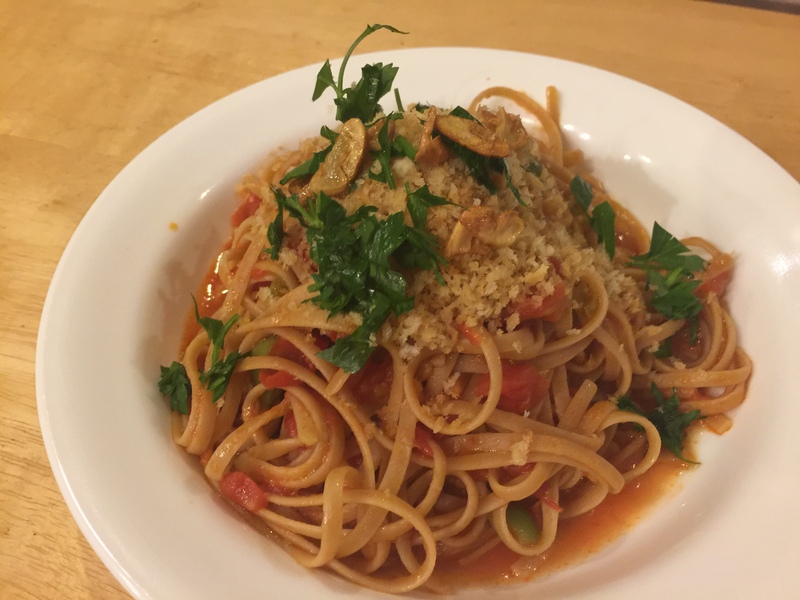 For our main course we have prepared whole wheat linguine with a tomato, olive, and caper sauce. As garnish instead of cheese there are garlic toasted breadcrumbs, toasted garlic chips, and parsley. This is a really delicious dish based on a recipe from the NY Times Cooking site. We have put it into our dinner rotation in the vegetarian category. 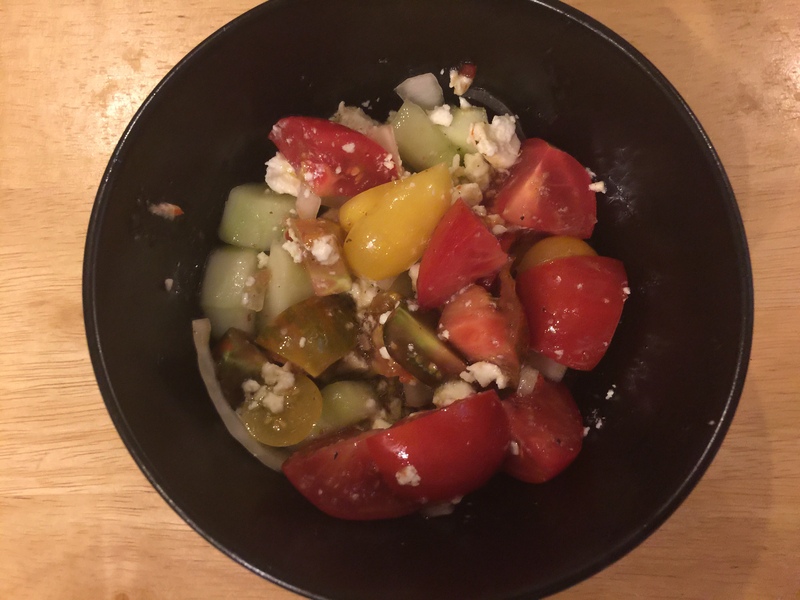 This entry was posted in Healthy tips, Italian, Mediterranean, Pasta, Vegan, Vegetables, Vegetarian and tagged breadcrumbs, capers, cucumbers, Linguine, olives, Onions, pasta, tomatoes. Bookmark the permalink.